Ferdinando Tacca, (Florence 1619-1686), A Highly Important Documentary Group of the Monument to Ferdinando I de’ Medici in Livorno, adapted after the original figures by Giovanni Bandini (Florence 1540 – 1599) and Pietro Tacca (Carrara 1577 – Florence 1640). Bronze. Overall height: 73.7 cm (29 in). 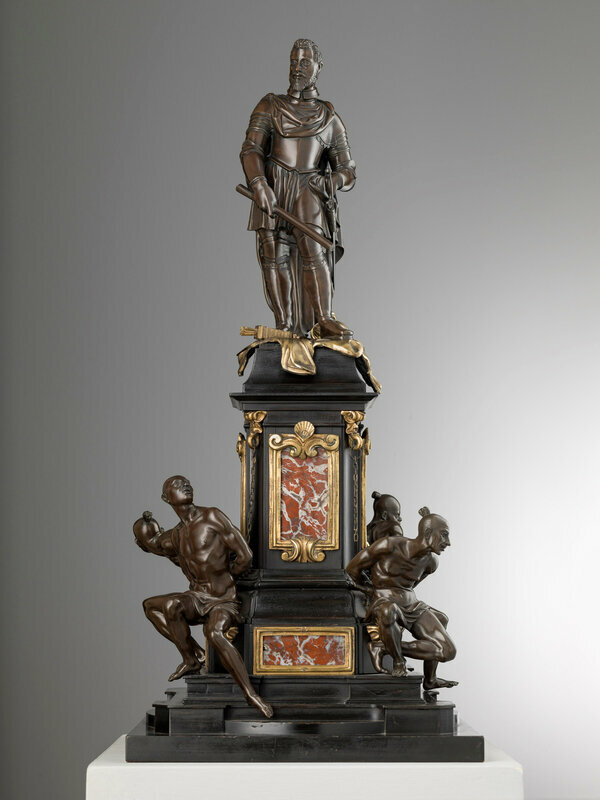 Height of pedestal: 33.4 cm (131/6 in). Courtesy Trinity Fine Art. 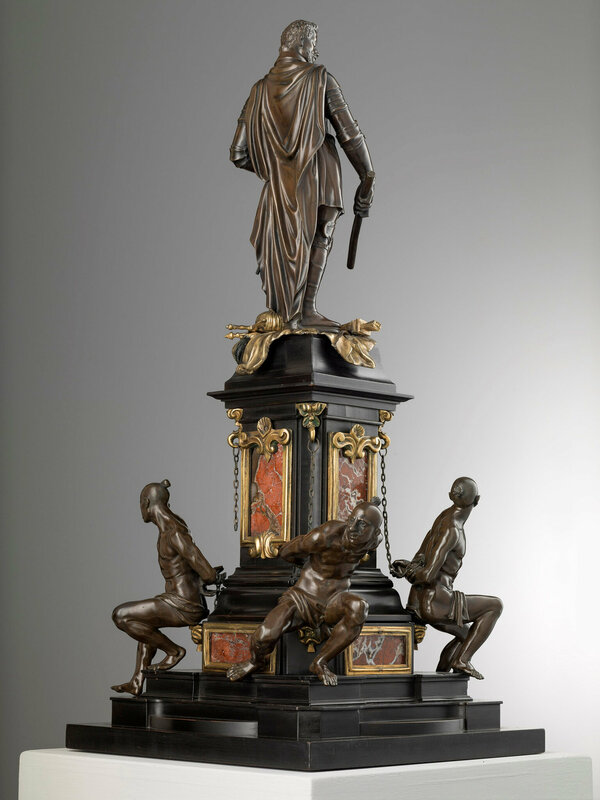 LONDON.- A highly important documentary bronze group of the Livorno Monument to Ferdinando I de’Medici by Ferdinando Tacca (Florence 1619-1686), is just one of the major sculpture highlights offered at London Art Week Summer 2018, a series of important selling exhibitions currently taking place at 40 galleries across St. James’s and Mayfair, until 6 July. 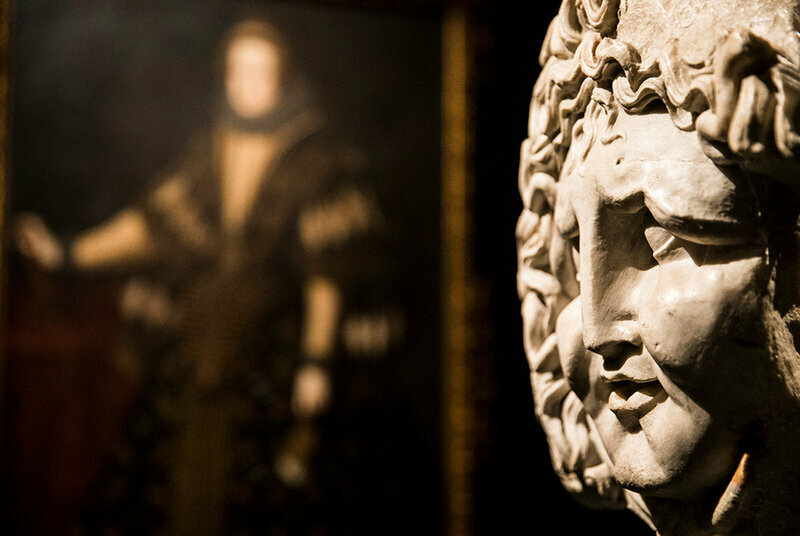 Recent research by Trinity Fine Art, the gallery presenting the Tacca bronze, has revealed this group to be a ricordo commissioned directly by the Medici family: furthermore, the 1716 inventory of Palazzo Pitti pinpoints the exact room in which the work resided after its commission until it was sold. The bronze group, which stands 73.7 cm tall, also features the famous bronze ‘captive Moors’ of Pietro Tacca (Carrara 1577-Florence 1640), Ferdinando’s father. 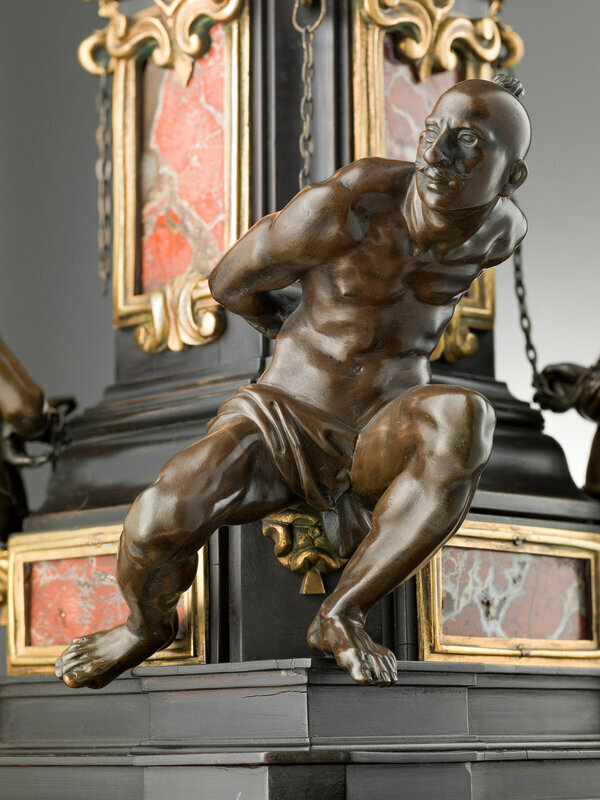 Further important sculptures that are essential viewing at London Art Week include, at Tomasso Brothers Fine Art (celebrating 25 years), a beautiful bronze figure of Charity by Massimiliano Soldani-Benzi (1656-1740), executed in Florence circa 1695 after a model by Alessandro Algardi (1598-1654), with a gold and red patina; at Ariadne Galleries, a particularly fine and large example of a marble Head of a Cycladic Figure, circa 2500-2400 BC, a striking piece that would have belonged to an impressively large full statue of a reclining female idol, the predominant sculptural type at the time; an impressive marble sculpture of Mars c1545 by the Italian artist Giovanni da Nola (Giovanni Marigliano, documented from 1508 to c1551/23) commissioned by his Spanish patron and viceroy of Naples, the 2nd Duke of Cardona, at Colnaghi; and at Maurizio Nobile, attending LAW from Bologna and Paris, an exquisite early 16th century Madonna Praying, in terracotta, attributed to Maestro del Sant’Andrea di Stiffe, Active in L’Aquila (Abruzzo). 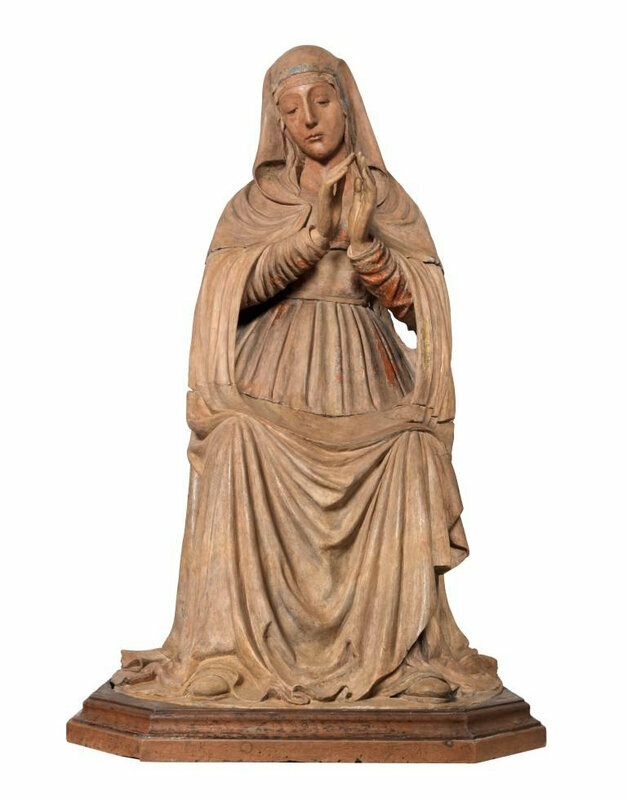 Maestro del Sant’Andrea di Stiffe, Active in L’Aquila (Abruzzo), early XVIth century, Madonna Praying. 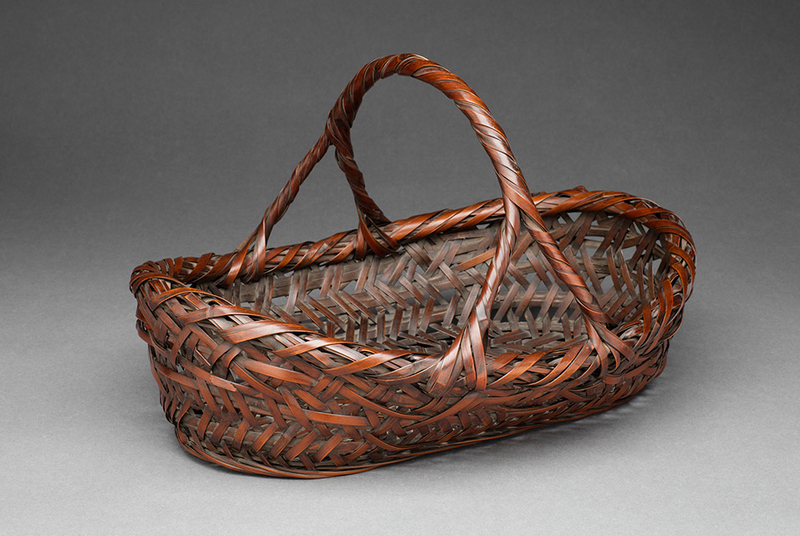 Terracotta, 123 x 63 x 47 cm. Courtesy Maurizio Nobile. 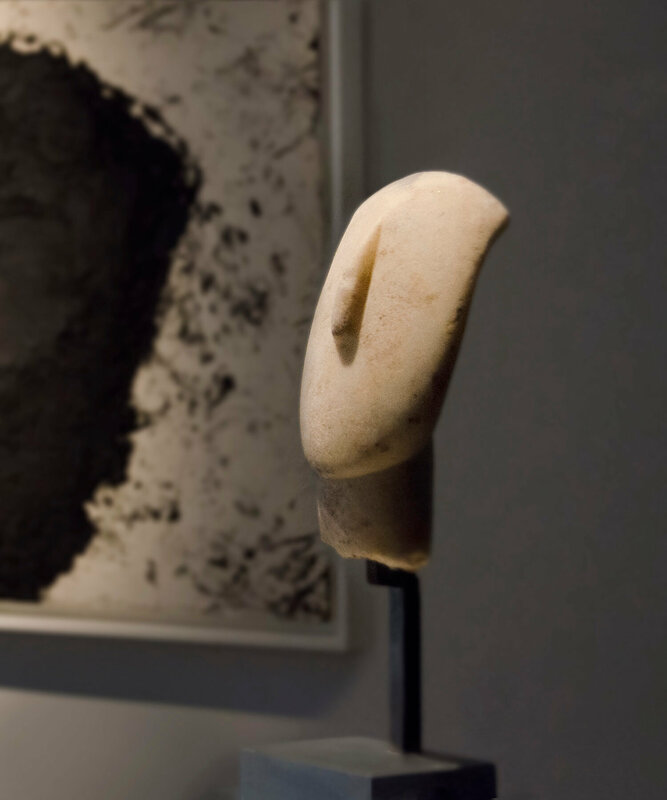 London Art Week, focal point of London’s pre-contemporary market, illustrates an extraordinary range and quality of art from antiquities to 20th century works, and underlines the unrivalled connoisseurship and expertise of the participating galleries. 40 leading international art dealers from London and Europe present exciting selling exhibitions, engaging events and art talks, at private galleries in Mayfair and St. James’s. 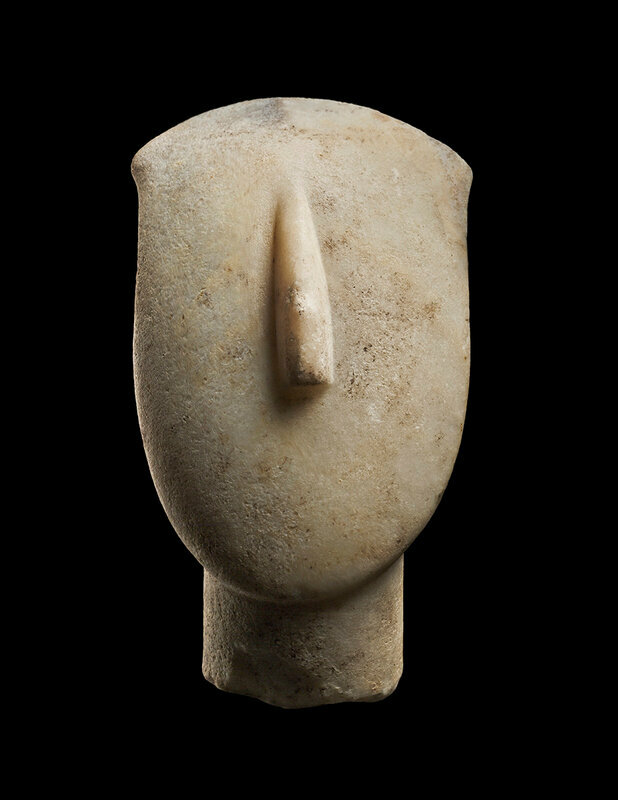 Many dealers mount specialist exhibitions, and those with an emphasis on sculpture this year include: Brun Fine Art with A Taste for Sculpture V; Callisto Fine Arts with The Sculptor’s Idea: European Terracottas; Colnaghi with A Tale of Two Kingdoms: The Art of Spain and Naples; Gallery Desmet (attending LAW from Brussels); Daniel Katz Gallery with Defining Elegance; Lullo Pampoulides; and Tomasso Brothers Fine Art with TOMASSO XXV. London Art Week coincides with the Old Master sales at Bonhams, Christie’s and Sotheby’s. Full information, a digital catalogue and map can be found at www.londonartweek.co.uk.